It’s the Ultimate Blog Party 2014!! Every year, 5 Minutes for Mom hosts the Ultimate Blog Party! It’s a fun way to get to visit other blogs and connect. I loved it last year. It’s a great way to get to know me and my blog in just a few minutes. I started blogging about 4 years ago with more of a family blog. At the beginning of 2013, I became far more intentional with my blog and it’s been fun to watch it grow. I switched from Blogger to WordPress (self-hosted) last fall, which was the best move ever. If you’ve been thinking about it for your blog, just do it. Yesterday. I come from a big family, which gives me a different perspective on a lot of things, including motherhood. Twelve years ago, I married my college sweetheart. Now we have three kids who are 5, 3, and 1. After having 3 kids in 3 1/2 years, I am pooped! But it’s been getting easier around here, so I’ve been challenging myself to grow. I’m focusing on exercise and I even became a runner last year!! The most I have ever run is a 10K, which is 6.2 miles. It was incredible. If you’re interested in trying out a Couch to 5k program, be sure to check out all that I’ve written about it. I recently wrote about breastfeeding and running. Yep, it’s possible to do those two things, though I’m not sure I would do them simultaneously! I used to teach 9th grade English but now I teach my own children, which is both rewarding and incredibly challenging. This was our first year of homeschooling, and I’ll be the first to admit that it wasn’t as easy as I thought it would be. But it has been so worth it to watch my daughter become an excellent little reader. I love moms. I love learning from my mom friends and getting the chance to encourage one another. In my day-to-day life, I coordinate my local MOPS group (Mothers of Preschoolers) where I love to connect with other moms about everything from potty training to breastfeeding and everything in the middle. I love getting real with each other about the messy floors and messy lives that God redeems. 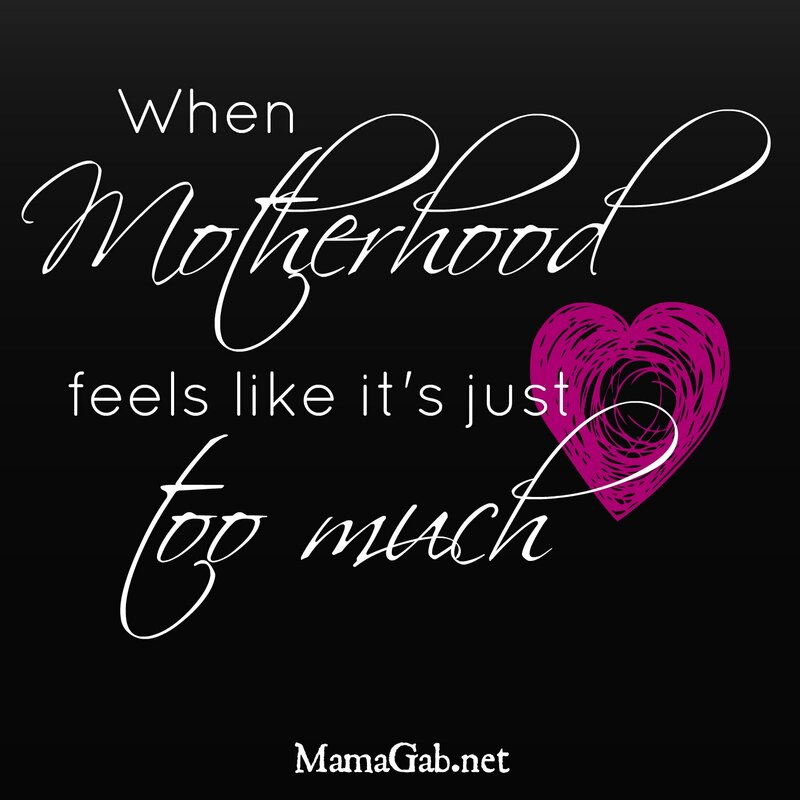 I’ll be the first to admit that motherhood is hard, but it’s also the best thing ever. And often, there’s only a span of five minutes between those tough and sweet moments. Three years ago, my newborn was diagnosed with a rare lung defect called Congenital Lobar Emphysema. We were flown immediately to a children’s hospital where half of his lung was removed to save his life. It was completely terrifying but also amazing to experience peace that only comes from God. That trial frames a lot of where I am coming from in my blog now. I learned how to lean on God during a trial and how to trust Him with my children. It wasn’t easy and in the aftermath, I even experienced depression for a time. But by learning how to renew my mind with scripture, God actually pulled me out of that. I know it’s not that simple for so many, but that’s how it worked for me. It’s a huge reason why I want to be authentic in my day-to-day life and on my blog. I’m so far from perfect, but Christ is perfect for me. He enables me to get up out of bed each and every morning to love and care for my kids. Even on the days when I just want to pull the blanket over my head. But surely no one else knows what that’s like. Here are a few of my most popular posts that will help you get acquainted with my blog. Welcome to the MamaGab community! And if you’re one of my regular friends and readers, then I hope you learned something about me that you didn’t know before. Now tell me something about you! Something about me? I need to start running again too and only just made the leap to intentionality and wordpress two months ago. Eep! Fun times! Don’t you just love WP?? It’s been amazing for blog growth. Hey, Gabby! Thanks for giving us a glimpse into your world. I love your heart already! Thanks, Dana, I can’t wait to check out your UBP post too! Hi, Gabby! I’m visiting from UBP14 and am following via twitter & Facebook. I’m a teacher & am not raising kids, but I appreciate how transparent you are in your posts. I’m sure many are uplifted by your site. I’m glad we could connect. Blessings! Thanks, Renee. I think we could all stand to lose the masks a little more. So glad to discover your blog via #UBP14. Love your words: “.. motherhood is hard, but it’s also the best thing ever. And often, there’s only a span of five minutes between those tough and sweet moments.” — So true! Looks like we have a lot in common! I started blogging a few years ago and this year came back much more intentional! I’m looking to move to WordPress ASAP and motherhood is hard! Tough I am not as brave as you to have done it so consecutively!!! 😉 so Glastonbury meet you. Can’t eat to ghetto know you better! Andrea recently posted…Ultimate Blog Party! Welcome!! My husband and I laughed SO hard when we saw those hilarious autocorrects!! Enjoyed your insights on being from a large family. I can see how it really prepared you for your own family. I’m a blogspot blogger with no plans to switch, but I read your reasons for switching and know many agree with you. Glad I stopped by and “met” you. Glad to have you here, Gail, and I can’t wait to check out your pages as well. I can not wait to read more of your blogs. We have a lot in common! I too was a blogger on blogger but just moved to my own domain in Word press and am trying to learn all of this! It is a whole new world but I felt like God was telling me to do it so here I go!! Thank you for sharing your faith. We can never do enough of that!! So true, Cassandra. I hope you are loving WP as much as I am! Ha, I know what that’s like!! I agree–we’ve got a ton in common. I’m loving your blog, Jacqui! I love your honesty! Thank you. Real life – real grace. That’s where I live, too. Blessings! Hi there! I am visiting from the UBP14! It’s a small world! I realized I have been here before! I must have found you on other link-ups. I remember reading your post about “No More Babies”. I look forward to getting to know you more! I’d like to humbly invite you to Operation Wife’s link-up party “Wifey Wednesday”. Though it is a Wednesday link-up, it is usually live on Tuesday (as is the case today) 🙂 God bless! Thanks for the invite, Becky! I love your link-up. I’m glad you’re familiar with it already–it’s funny how many times that happens in the blog world. Stopping by from UBP…I’m going to share your post with my daughter. She’s pregnant with our 1st grandchild & I think she would be encouraged with what you’ve written. Let me know if I can help you in any way. Thanks so much, Kerry. I’m actually a subscriber to your blog–it comes into my inbox! Love your site! I’m glad to connect through UBP, and thanks for sharing with your daughter. I hope she finds it encouraging. I also sent your blog to my sister-in-law, who just had her 1st baby. We saw them last night for the first time since the baby was born. She’s been having breastfeeding problems & I thought you posts would be encouraging. Thank you, Kerry. I hate that she’s having problems nursing. That was such a challenge for me. My mom often told me that God would use those challenges, and He really has. Sometimes I think I could be a lactation specialist, thanks to all the troubleshooting we had to do!